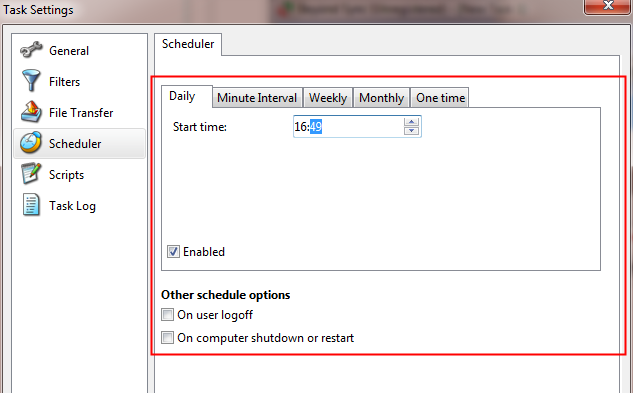 Beyond Sync has a built-in scheduler to allow you synchronize folders easily and automatically. and set desired automation settings. Beyond Sync will synchronize files automatically based on your settings. If you want to synchronize files as soon as they are updated, please use Real Time Sync.